Description: Vision science provides an empirical basis for techniques and design practices in visualization, including what data features people attend to, what statistics they extract, and what they ultimately remember. Visualization provides real world problems for vision scientists to investigate, including color perception, pop-out, and salience. Help us explore and promote this promising research partnership! Come mingle with cognitive psychology and visualization experts active at this intersection, and discuss how the two fields can continue to inspire and collaborate with one another. 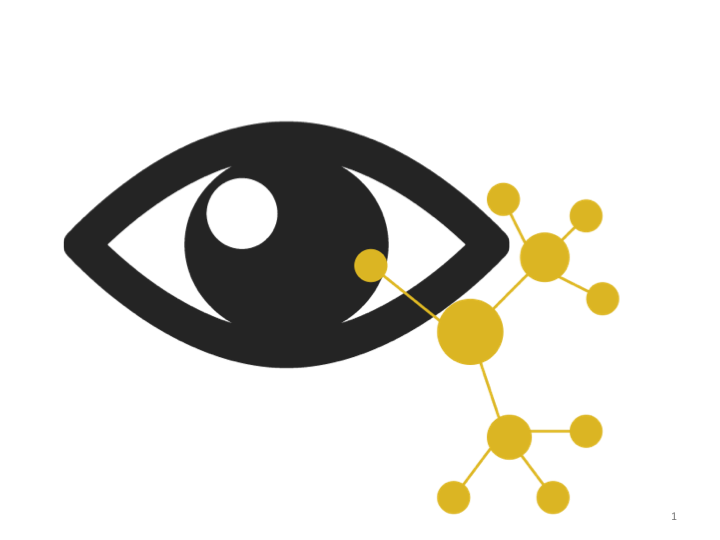 Apart from the InfoVis panel, Vision Science Meets Visualization, this meetup provides another opportunity for interested attendees to ask questions, share new research ideas, and extend their professional networks. All are welcome, and several researchers have been selected to present a 2-3 minute ‘lightning talk’ about their latest work. Abstract: Vision science can explain what people see when looking at a visualization–what data features people attend to, what statistics they extract, and what they ultimately remember. These findings have significant relevance to visualization and can guide effective techniques and design practices. Intersections between visualization and vision science have traditionally built upon topics such as color perception, pop-out, and salience. However, there is a broader space of vision science concepts that could inform and explain ideas in visualization but no dedicated venue for collaborative exchanges between the two communities. This panel provides a space for this exchange by bringing four vision science experts to IEEE VIS to survey the modern vision science landscape in order to foster new opportunities for collaboration between visualization and vision science. Read our full panel submission with abstracts here! Ruth Rosenholtz is a Principal Research Scientist in MIT’s Department of Brain and Cognitive Sciences, and a member of CSAIL. She has a B.S. in Engineering from Swarthmore College, and an M.S. and Ph.D. in EECS from UC Berkeley. Her lab studies human vision, including visual search, perceptual organization, visual clutter, and peripheral vision. Her work focuses on developing predictive computational models of visual processing, and applying such models to design of user interfaces and information visualizations. She joined MIT in 2003 after 7 years at the Palo Alto Research Center (formerly Xerox PARC). Ronald Rensink is an Associate Professor in the departments of Computer Science and Psychology at the University of British Columbia (UBC). His research interests include visual perception (especially visual attention), information visualization and visual analytics. He obtained a PhD in Computer Science from UBC in 1992, followed by a postdoc in Psychology at Harvard University, and then several years as a scientist at Cambridge Basic Research, an MIT-Nissan lab in Cambridge MA. He is currently part of the UBC Cognitive Systems Program, an interdisciplinary program combining Computer Science, Linguistics, Philosophy, and Psychology. Steven Franconeri is Professor of Psychology at Northwestern University, and Director of the Northwestern Cognitive Science Program. His lab studies visual thinking, graph comprehension, and data visualization. He completed his Ph.D. in Experimental Psychology at Harvard University with a National Defense Science and Engineering Fellowship, followed by a Killam Postdoctoral Fellowship at UBC. He has received the Psychonomics Early Career Award and an NSF CAREER award, and his work is funded by the NSF, NIH, and the Department of Education. Karen Schloss is an Assistant Professor at the University of Wisconsin – Madison in the Department of Psychology and Wisconsin Institute for Discovery. Her Visual Perception and Cognition Lab studies color cognition, information visualization, perceptual organization, and navigation in virtual environments. She received her BA from Barnard College, Columbia University in 2005, with a major in Psychology and a minor in Architecture. She completed her Ph.D. in Psychology at the University of California, Berkeley in 2011 and continued on as a Postdoctoral Scholar from 2011-2013. She spent three years as an Assistant Professor of Research in the Department of Cognitive, Linguistic, and Psychological Sciences at Brown University before joining the faculty at UW – Madison in 2016.